no matter where they might be. At VerticalReach it’s not about promoting the value of a specific media outlet, nor is about placing your ads blindly all over the Internet. Rather our goal is to help clients connect with their targets through a comprehensive and transparent marketing program. Combined with online advertising VerticalReach offers a slue of other solutions so a single message can be sustained across all tactics. 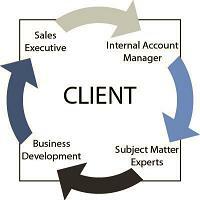 VerticalReach understands that target market definition is essential to the success of any marketing program. Defining the target market requires market segmentation, the process of pulling apart the entire market as a whole and identifying the specific units that are most likely to connect with the brand, product, or messaging. The next step is to align media tactics and placement with the defined target markets. When developing this strategy VerticalReach considers demographic and geographic information, time of day targeting methods, the product or service being promoted, the creative type, and the overall creative message strategy or unique selling proposition. Campaigns deployed by VerticalReach deliver more than just click-throughs: they yield a wealth of data that advertisers can use to target campaigns more precisely and gain a deeper understanding of their customers for future programs. 2. A long-standing commitment to maintain complete transparency. VerticalReach is truly a transparent network with transparent reporting. all available media within the VerticalReach portfolio. What is the product/service being promoted? What is the unique aspect of such product/service? Who is the secondary market? Who is the tertiary target market? products services, and connect them to the target markets? What advertising methods have been used? As a media planning firm, we work with advertisers to build comprehensive interactive marketing programs designed to connect brands, products/services with ideal targets, no matter where they might be. Once the discovery process is complete, the dedicated account team will develop and present an interactive program designed to achieve the campaign objectives. Combined with online advertising VerticalReach offers a slue of other solutions including lead generation, email blasts, newsletter sponsorships, and direct mail. As the account team builds and maintains advertising programs, on occasion an ideal media outlet that is not part of the current VerticalReach network might present itself. If it is an ideal match, VerticalReach will do all it can to add them to the network or work as media buying firm on the client’s behalf. Our business development team will handle all negotiations with new outlets to assure advertisers the best price an optimal success.